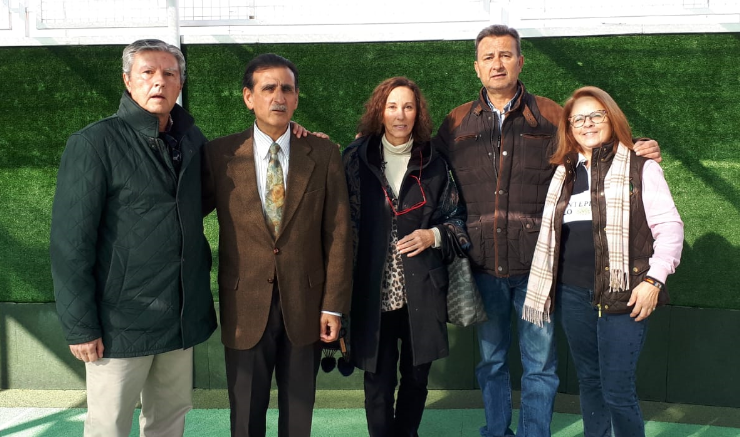 Javier Presol, Principal at SEK-Santa Isabel and former student of the school, has received this week the visit of several former students of the class of 1975/1976 from SEK-San Ildefonso. They were able to see the school, as it has changed in these years and have been able to share with Javier memories and experiences from their years in the classrooms. From SEK Alumni we would like to thank the alumni for their visit and we take this opportunity to mention that we welcomed more alumni from SEK-San Ildefonso at SEK-Santa Isabel, this time from the class of 82.